Could chanting ancient Sanskrit mantras increase the size of your brain? Scientists have put forward a theory that memorising ancient mantras could increase the size of brain regions associated with cognitive function. In a study led by neuroscientist and postdoctoral researcher Dr James Hartzell, the brain's massive grey matter density and cortical thickness was found to increase in those who had learnt and routinely recited the Sanskrit texts for the past decade. For the study, Dr Hartzell, who coined the term, 'The Sanskrit Effect', compared the brains of 21 male participants with those of 21 professional Vedic Sanskrit Pandits who had memorised the Yajurveda Saṃhitā text and trained since childhood to memorise, recite and master the exact pronunciation of the ancient texts. What he and his research team found was massive grey matter density and cortical thickness increases in Pandit brains in language, memory and visual systems. "The findings provide unique insight into the brain organisation implementing formalized oral knowledge systems," Dr Hartzell told SBS Hindi. "In the cerebellum -- which is the back lower part of the brain which coordinates both your motor and your cognitive functions -- we found that 33 percent of the Pandits' cerebellum grey matter was denser or more increased compared to the [other participants], which was remarkable." "We had never seen any studies that showed such a large increase in the Hippocampus and this is incredibly important for understanding how memory works in the brain." he told SBS Hindi. "We don't know yet, the answer to the question, whether the difference in the brain could be because of memorizing such a large text or because memorising a text in the Sanskrit language is having an impact. "One is that the Sanskrit tradition itself says that the sound of the Sanskrit language, the mantras, the meaning and the sound all of this has a very specific effect different from other languages, different than Hindi, English, Tibetan or Pali and so on, so the tradition makes that claim and that's a very well worked out idea in the tradition." 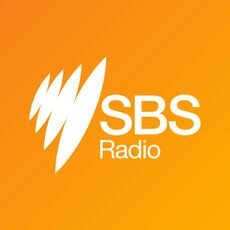 Dr Hartzell told SBS Hindi he first became interested in Sanskrit as a teenager when he learnt about the stories of the Yogis and became fascinated by them as yoga and Buddhism started to take off in the West. "Then I [went] to India and thought, 'wow this is really interesting', so then I got more interested and eventually I decided that I want to really study it properly," he said. "I got frustrated with the different translations in English of all the Sanskrit terms in the books I was reading, because every author translated some of the key terms differently and I thought, 'this doesn't make any sense... Why not just learn the language [and] figure it out for myself?'" Dr Hartzell then trained as a translator so he could translate Sanskrit texts into English. "One of the things that my fellow translators and I had noticed was that when you translate the texts from Sanskrit to English, there is some sort of a real profound cognitive shift that happens and it's hard to explain but it's so real, everybody knows about it," he said. Professor Rama Jayasundar from the All India Institute of Medical Sciences in Delhi was similarly fascinated by the ancient texts and Sanskrit tradition which India had kept alive for a millennia. "I mean we are talking three to four thousand years, certainly at least three and a half thousand years have kept alive this tradition and this language which carries a phenomenally deep and interesting culture," she told SBS Hindi. "In Sanskrit, there is a phenomenal amount of terminology and vocabulary that is very difficult to translate because the words actually don't exist in many other languages." "The language itself, if you look at the word Sanskrit it means 'well-refined language'. "It's a language which had been developed in a very scientific way and the sound takes the highest priority in Sanskrit language and the pronunciation is very very important. There are rigorous rules about intonations, the tone, the stress, the rhythm. It's actually a science of sound." She completed her PhD in Nuclear Magnetic Resonance (Physics) from Cambridge in 1990 and has been on the faculty of AIIMS since 1993 where she studied Gayatri Mantra and its effect on brain neurochemicals. "I had used a technique called magnetic resonance spectroscopy. The technique that Dr Hartzell has used is MRI, while I had used MR Spectroscopy, using which we can look at the biochemical profile in a brain in a non-invasive manner," she told SBS Hindi. "So what I had done was, I had trained a group of volunteers to chant Gayatri Mantra and another group who were reciting the English translation of the Gayatri Mantra. "The very preliminary results were quite interesting although I don’t want to draw any conclusions from them as yet. The changes that were seen when the Gayatri Mantra was chanted in Sanskrit was very different to the ones which were observed when the English translations were chanted for exactly the same number of times. "Probably Sanskrit as a language may have a slightly different effect but a more rigorous study on a larger population would be required. But it would be a very interesting study to see whether Sanskrit as a language has a slightly different effect on the cognitive functions, compared to other languages. "